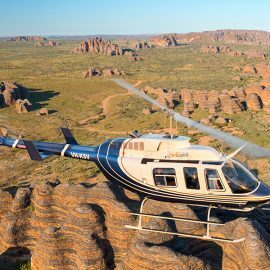 Join Helispirit on a 6 day, 6 night unforgettable private helicopter safari exploring the stunning Kimberley wilderness in true style. 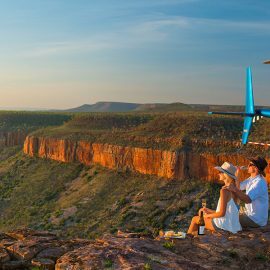 Land on mountain pinnacles to watch the sunset, fish in wild rivers, view galleries of the oldest rock art on earth, soar through gorges and touch down to swim in secret springs and waterfalls. Stay in the region’s best luxury lodges and coastal wilderness retreats, where the dining is fresh and exquisite, and the service friendly and welcoming. 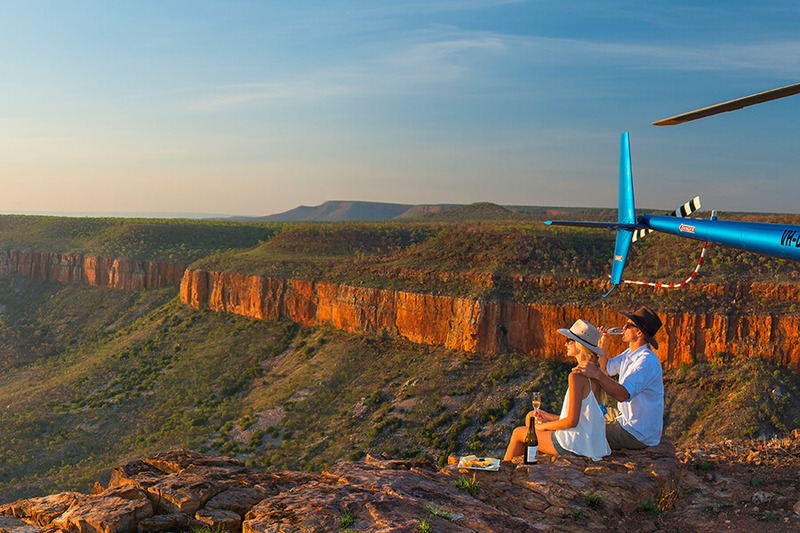 Each lodge has its unique experiences, spectacular scenic outlooks and personalised attention. 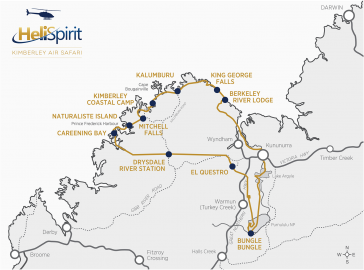 Guided hikes, coastal cruises, world-class sport fishing, nature drives and stargazing are some of the activities on offer. 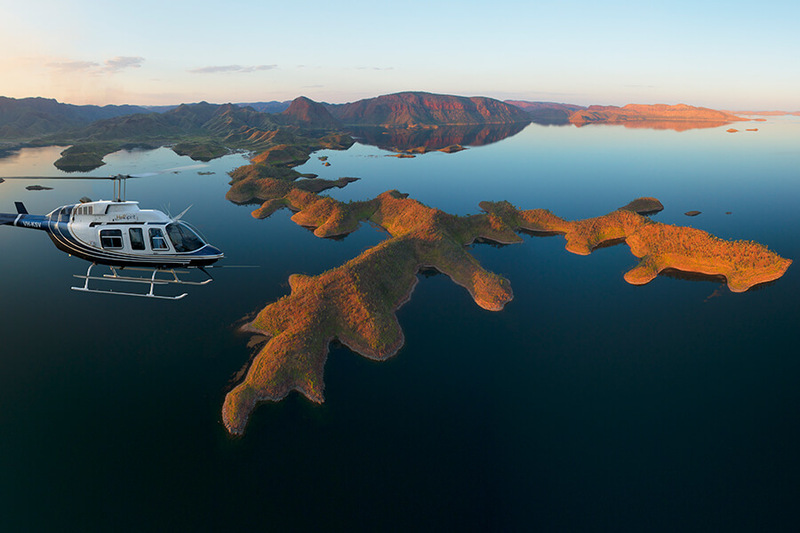 HeliSpirit Luxury Kimberley Air Safaris operate from April through to October and do not have set departure dates. 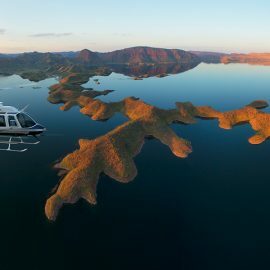 These air safaris are private, therefore departure dates are flexible. Safaris will depart with just 2 people but limited to 12 people maximum as the accommodation destinations are small and exclusive. April and May offer the best time for Barramundi fishing and the waterfalls will be flowing well. The landscape is still green after the monsoonal wet season. June to August are cooler in the evening, with September and October starting to warm up to the mid 30s during the day. 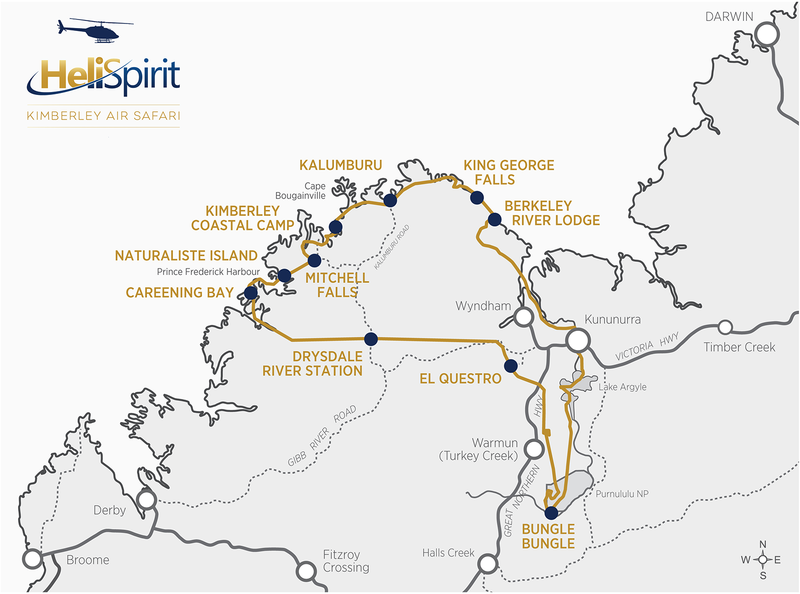 Some of the locations visited are: Lake Argyle, Bungle Bungle, Ord River, El Questro, Cambridge Gulf, Kimberley Coast, Berkeley River, King George Falls, Mitchell Falls, Cockburn Range, Hunter River, Mount Trafalgar, Careening Bay, Naturalist Island, Drysdale River, Kalumburu, Prince Regent River, Argyle Diamond Mine. 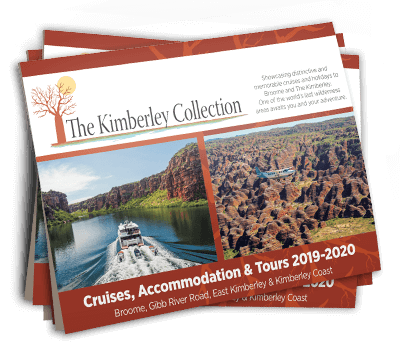 Inclusions: Private helicopter air travel, 1 night Freshwater Apartments Kununurra, 1 night Berkeley River Lodge, 2 nights Kimberley Coastal Camp & El Questro Homestead. All meals & drinks and selected touring. Notes: Based on min 2 pax, max 12 pax. 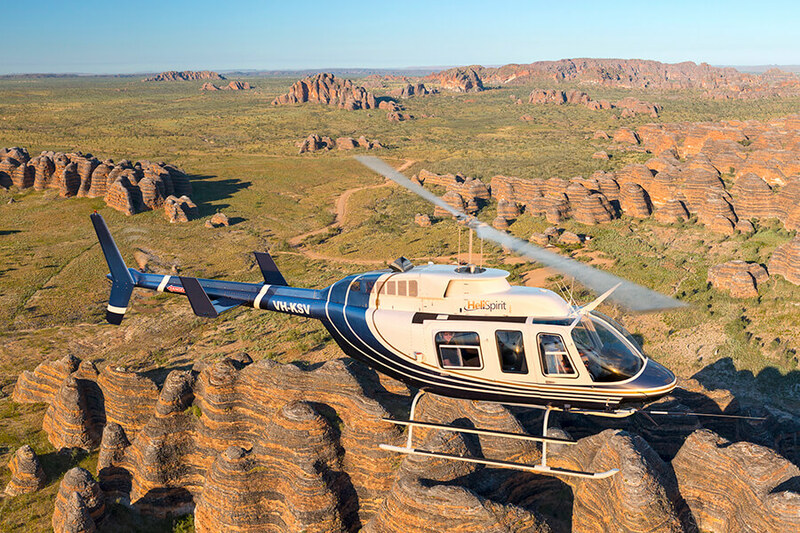 Family helicopter safari packages available.